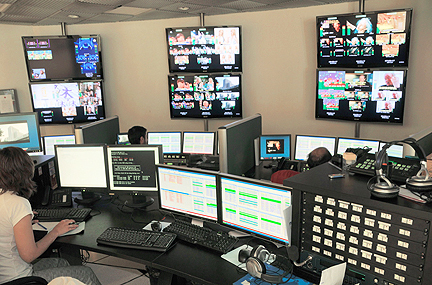 [SatBroadcasting(tm)] TIBA (Telepuerto Internacional Buenos Aires), Latin America’s leading satellite, telecoms and playout provider, has installed an advanced Miranda graphics system to streamline branding and promotional graphics across the HD and SD channels. TIBA provides playout, encoding and uplink services for major networks, including Disney Latin America, FOX LA and ESPN. Based in Martinez City, Argentina, TIBA provides playout, encoding and uplink services for major networks, including Disney Latin America, FOX LA and ESPN. This large facility offers origination and playout for 46 channels, uplinking for a further 20 channels, and back-up for an additional 40 channels. The new Miranda graphics system includes multiple Vertigo XG processors for advanced, dynamic graphics, as well as the Imagestore-Modular and LGK-3901 processors for simpler, pre-rendered graphics; all fully integrated with a Vertigo Suite graphics workflow system. Five Vertigo XG graphics processors are used for the major networks’ main and back-up signal paths, while multiple Imagestore-Modular and LGK-3901 processor modules are installed for the channels with less demanding graphics requirements. Four Xmedia Servers provide centralized graphics asset management, with automated file conversion and delivery to the playout devices. This graphics system is used for a wide range of channel branding and promotional tasks, including bug insertion, lower-thirds for program awareness, credits squeeze backs with promo insertions, and countdown clocks for key episodes.